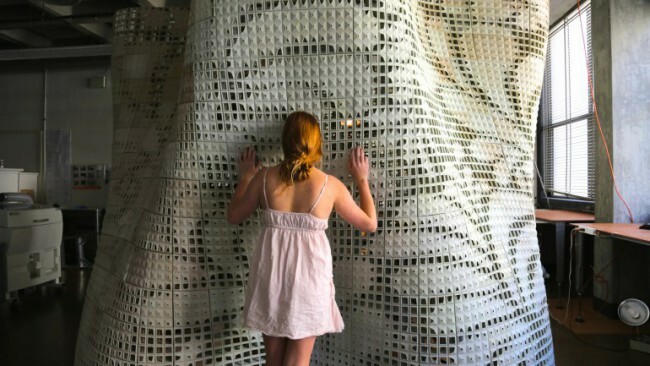 3D printed architecture is nothing new, we’ve written about 3D printed structures before such as Winsun’s success at printing 10 full-sized houses made of cement in 24 hours and WASP’s printer project that uses extruded mud and clay for low cost housing. 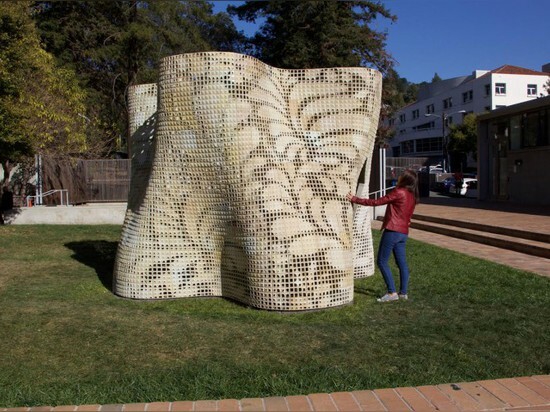 Recently however, a team at UC Berkeley led by Associate Professor of Architecture Ronald Rael has taken a different route and developed a method using thin layers of dried cement to build 3D printed structures. 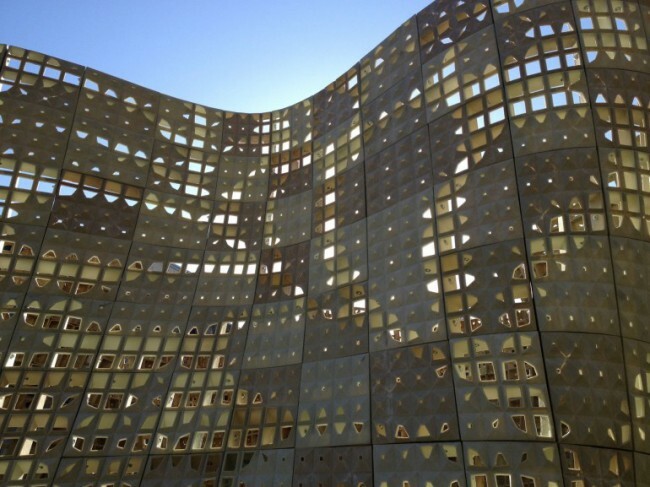 Water is only added after each layer of cement has been laid down in order to harden the structure. 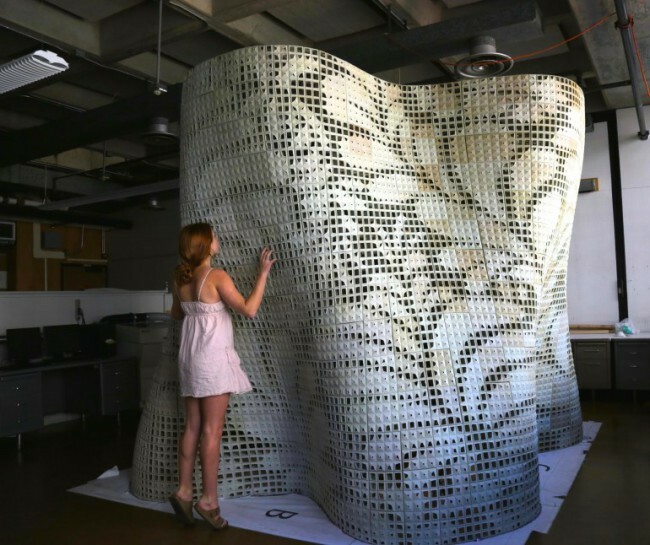 The team’s development of an iron oxide-free Portland cement polymer formulation and a system of 11 powder-based 3D printers, allows them to create lightweight and complex structures, that don’t create a lot of waste. 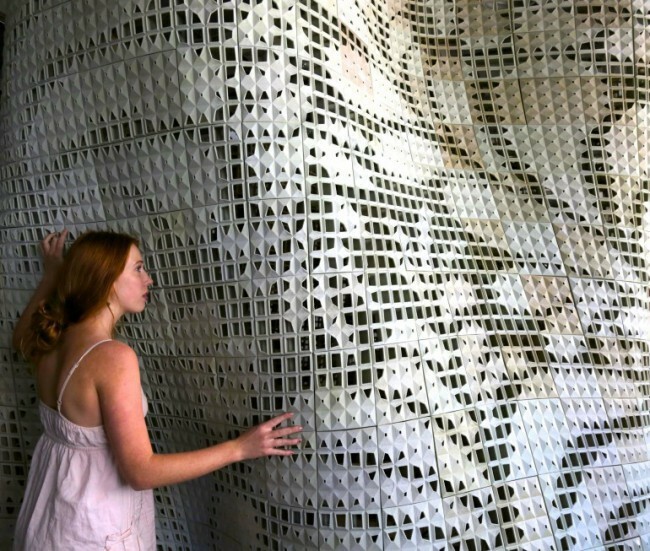 The advantage of this method is that it carries demonstrable real-world applications for producing low waste but high precision structures. “This project is the genesis of a realistic, marketable process with the potential to transform the way we think about building a structure,” says Professor Rael. 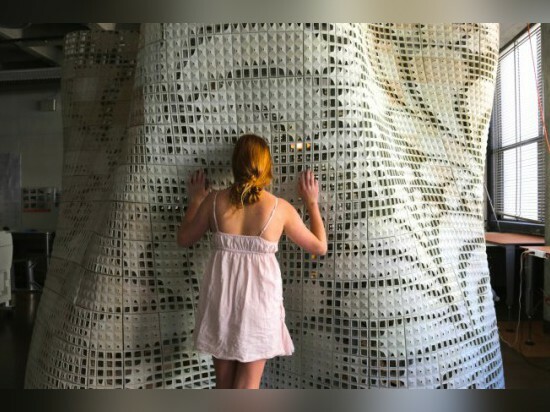 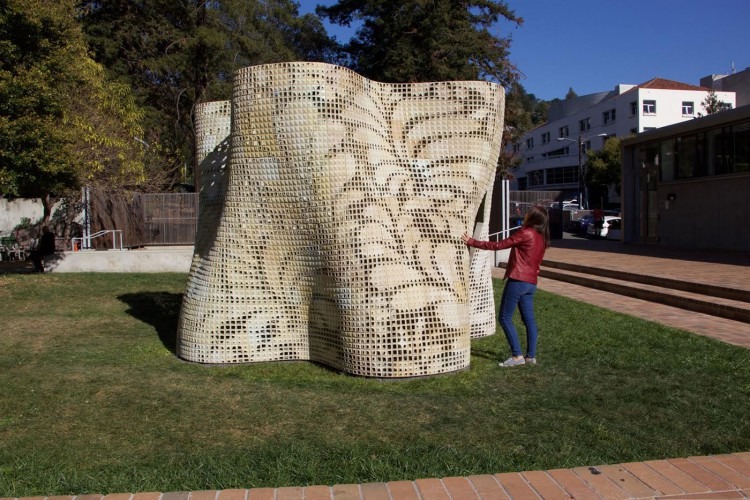 To demonstrate their concept, the researchers at Berkeley created the Bloom pavilion which stands 9ft (2.7 m) high and has a footprint of approximately 12 x 12 ft (3.6 x 3.6 m). 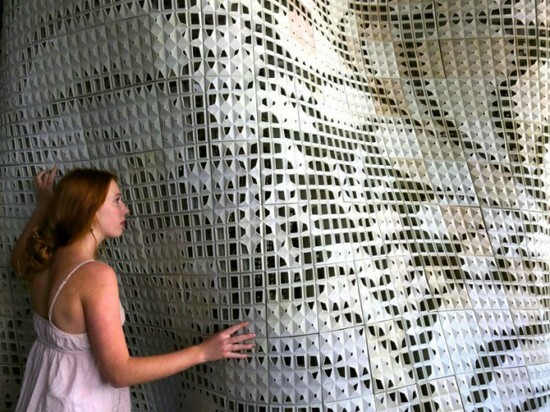 It is made up of 840 customized blocks bound together with steel fixtures. 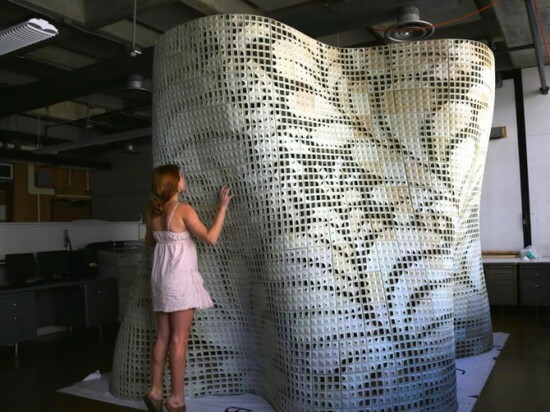 The creation is apparently the “first and largest powder-based 3D printed cement structure” currently in existence.